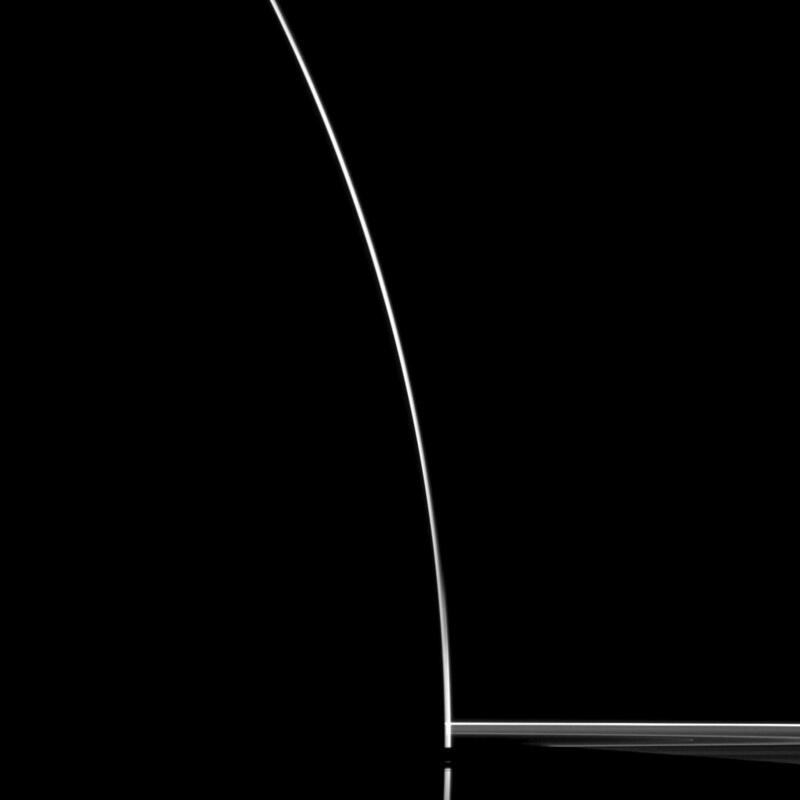 A startling silhouette of Saturn is created in this Cassini spacecraft portrait. 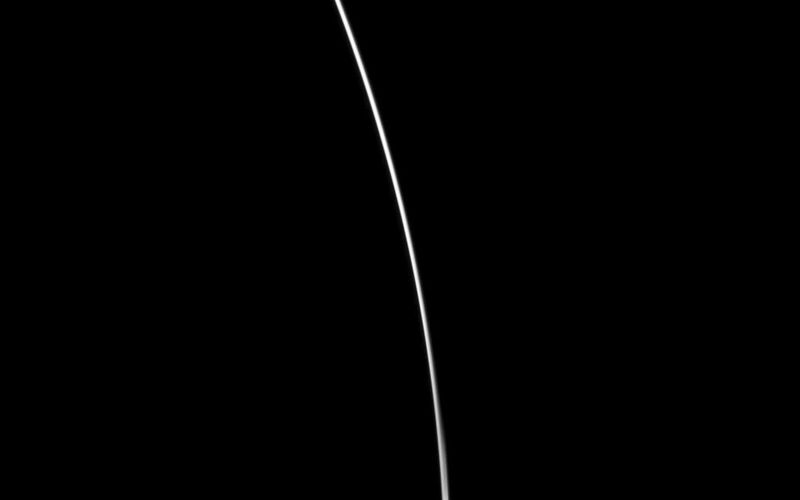 Although the sun is eclipsed by Saturn in this dramatic image, some sunlight scatters through the uppermost part of the atmosphere to reach Cassini's cameras. See PIA12603 to learn more. 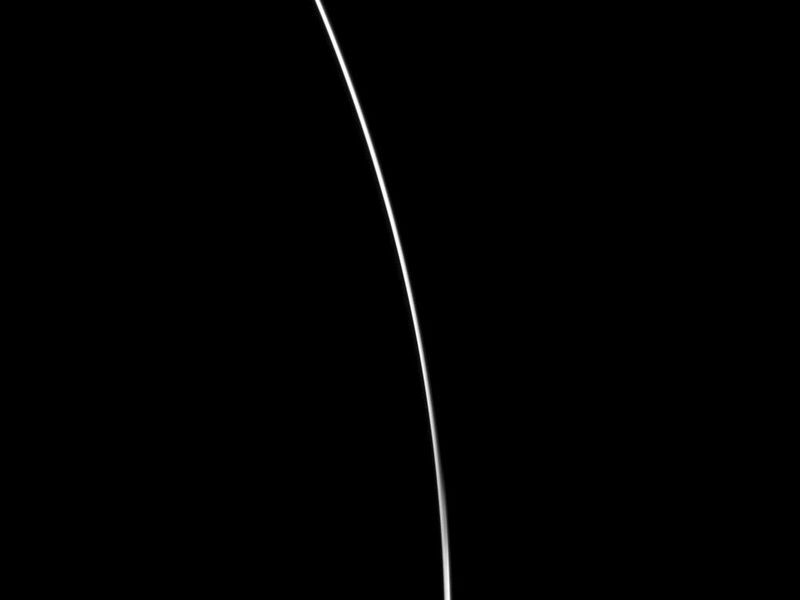 The image was taken with the Cassini spacecraft wide-angle camera on Feb. 13, 2010 using a spectral filter sensitive to wavelengths of near-infrared light centered at 752 nanometers. 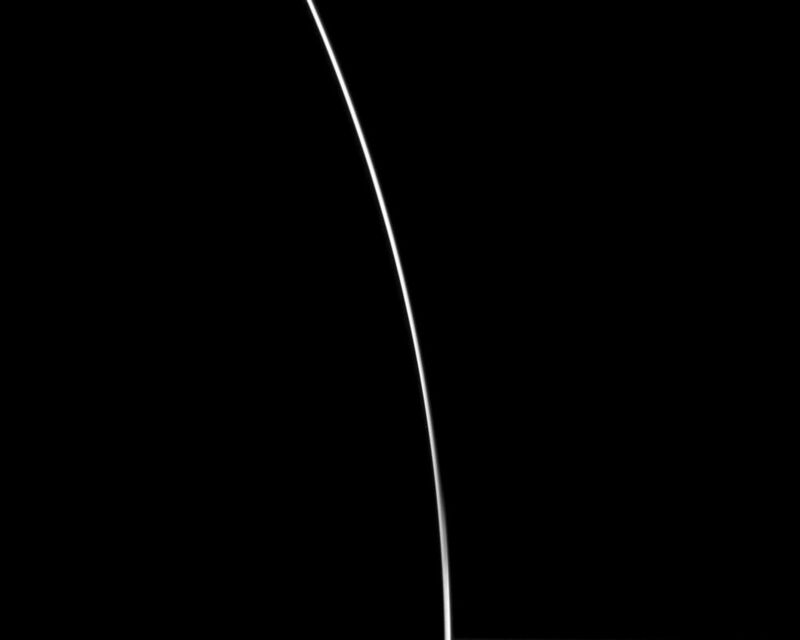 The view was obtained at a distance of approximately 392,000 kilometers (244,000 miles) from Saturn and at a Sun-Saturn-spacecraft, or phase, angle of 174 degrees. Image scale is 20 kilometers (12 miles) per pixel.